It has been one month since the suicides of ten LGBT teens prompted a national debate on the adverse effects of homophobic bullying in our schools. One of the more positive results of this dialogue has been the It Gets Better Project. Started by advice columnist Dan Savage, this initiative has grown rapidly through videos submissions, lectures, and rallies. The message is that–although it may be difficult at the moment–life does get better for LGBT youth and it is worth sticking around to experience it. To hear this statement from prominent figures like President Obama or Ellen Degeneres is powerful; for LGBT teens to know that they have allies in our government and media can give hope in dark times. Yet where do the Jewish voices emerge in this dialogue? Unfortunately the only leader in our community who has received national attention this past month regarding his stance on the LGBT community was Rabbi Yehuda Levin, who withdrew his support from New York gubernatorial candidate Carl Paladino after the latter apologized for homophobic statements made during his campaign. Rabbi Levin was later featured on The Last Word with Lawrence O’Donnell, where he engaged in a debate with Rabbi David-Seth Kirshner of Temple Emanu-El in Closter, NJ. The debate demonstrated the beauty of Judaism’s ability to accommodate a number of interpretive traditions. Unfortunately, it also painted a large portion of the Jewish community as anachronistically homophobic. However there are strong voices of support emerging within the Jewish community. Keshet–a Boston-based advocacy organization for LGBT Jews–recently started Do Not Stand Idly By, an online pledge against homophobic bullying in our communities. As of November, more than 8,000 people have signed on to the campaign. On Youtube, a growing number of videos have been posted by rabbis and community leaders in support of LGBT teens. Rabbi David Bauer, a Reconstructionist rabbi based in San Francisco, submitted a video detailing his own experiences with homophobic bullying as child. This month, Rabbi Denise Eger–of the LGBT-friendly Congregation Kol Ami in West Hollywood, CA–posted her contribution to the It Gets Better Project, offering a strong Torah-based argument for acceptance. And in a large show of support, Congregation Beit Simchat Torah of New York has started their own page of videos, with submissions from multiple leaders in their community. 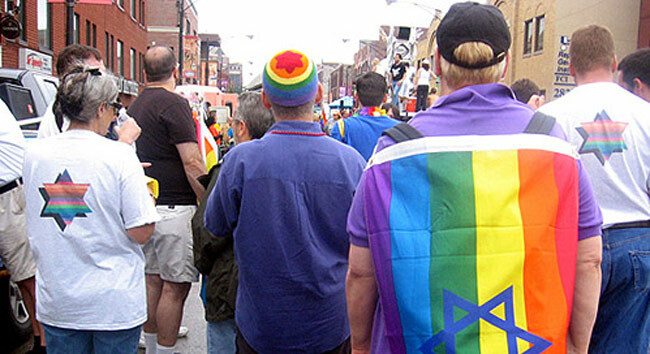 These videos have been essential for showing LGBT Jews that they have a place within our homes and synagogues, a place that is being defended by a growing number of rabbis and community leaders. And wherever one falls on the spectrum of tolerance, we can agree that it is important to tell our youth that these avenues of support exist. As Jews our history reminds us that–even though we occasionally stand in the face of great adversity–it does get better. brilliant article! thank you for writing and sharing great links such as rabbi david baur’s it gets better video.